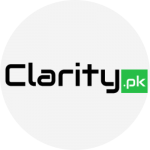 There are multiple payment solutions that exist in Pakistani market today. These solutions can be categorized in to two groups; Retail solutions and Online. ‘TILL’ payment solution by Easypaisa is primarily aimed for Retailers to use for payment acceptance in shops. What is Easypaisa ‘TILL’ and how it works? A TILL is a 6 digit number assigned to the easypaisa merchants as unique identifier. It is just like bank account number where you can ask someone to transfer funds to. A TILL is a specially designed Push payment solution for Easypaisa mobile account customers. 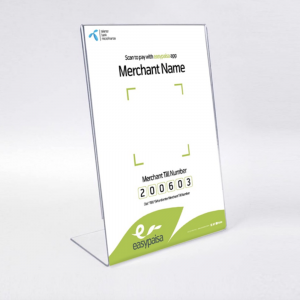 Merchants showcase their TILL number to customers on wall or as table talk. Customer can use that to make payments using their mobile accounts. How can Mobile Account customers pay using TILL? There are essentially three methods that a customer can use to pay. This process is easy for anyone using Easypaisa mobile account. Customers need to dial *786# from their Telenor numbers to access the Mobile Account menu. Once in the menu, they can see the Pay TILL Number option. Going to this menu option will guide customer on each step. Customer initiated transaction. Hence more control to customers. Though this solution works only for Easypaisa mobile account customers which is a limitation but given the mobile account penetration is on the rise, the viability of this solution cannot be undermined. Also, online merchants can post their TILL for customers to use without integrating payment gateways as a makeshift solution.